Had a lovely stay at the Lípa! The staff is very friendly and helpful. 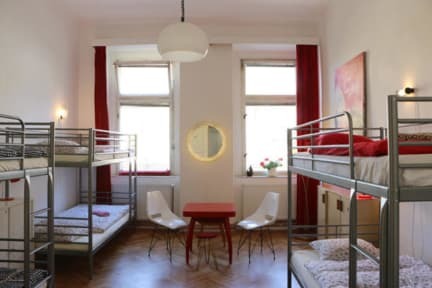 The dorm rooms are comfortable (side note: there is a private locker for every bed in the dorm rooms, you don't even have to bring/rent a lock - which is quite unusual for hostels, I think), the kitchen, the bathrooms and the common room were all very clean and felt like home. I will stay here again, next time I come to Prague for sure! We stayed in the red room (6 bed dorm ladies only). The floor there is very old and noisy. You can hear every step someone take which was annoying especially in the morning. Apart from that everything about this hostel is very nice. We enjoyed our stay there! Was mich wirklich sehr gestört hat, dass die Hauptstraße dermaßen Viel Verkehr hat und daher sehr laut isr. Ansonsten absolut in Ordnung. 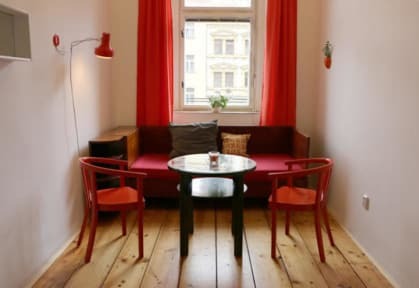 Unser Aufenthalt im Hostel Lipa in Prag war sehr angenehm. Die Sauberkeit und die Einstellung des Personals lässt zu wünschen übrig aber für diesen Preis kann man echt nichts sagen.